The chief physician of the Department of Internal Medicine III at the University Hospital of Halle (Saale) is PD Dr. Ulrich Hofmann. 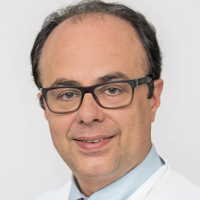 As the specialist in the field of internal medicine/cardiology, Dr. Ulrich Hofmann has a special qualification in such areas as chronic heart insuffiency, interventional cardiology, acute coronary syndrome. The range of medical services of the Department of Internal Medicine III at the University Hospital of Halle (Saale) covers all areas of maximum medical care, including interventional cardiology (e.g. treatment of acute coronary syndrome, treatment of heart valves and atrium with the use of such catheters as TAVI and Mitraclip, interventional rhythmology, including ablation, resynchronization systems) and highly specialized techniques of therapeutic intensive care (e.g. extracorporeal membrane oxygenation and subcutaneous heart support systems). 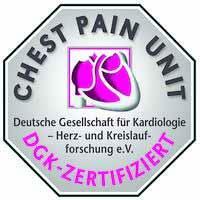 The Department of Internal Medicine III at the University Hospital of Halle (Cardiology, Angiology, Internal Intensive Care Medicine) employs not only the chief physician PD Dr. Ulrich Hofmann, but also 4 senior surgeons and two therapists/cardiologist, who provide the whole range of interventions for structural heart diseases. All kinds of coronary interventional techniques are available for emergency care and for the treatment of patients with acute myocardial infarction. The specialists of the Department of Internal Medicine III at the University Hospital of Halle use a transradial access through the hand, when possible. Thus, the patient can get up right after the surgery and benefits from a small blood loss at the puncture site. The Section of Angiology provides diagnosis and treatment of patients with all angiologic diseases. Department of Cardiology and Angiology.